Initial ideas for an aircraft engine were already developed by Junkers since 1909, when the M13/M14 oil engines were under studies at the Versuchsanstalt Aachen. In December 1911 Junkers and Scheller discussed the design of light 100 to 200 hprs gasoline engine, which would be capable to be mounted into an aircraft. But it took until 1914, when the first construction layouts were handed over to Jumo Magdeburg for realization, where Ing. Matthew and Hartmann were responsible for the built-up. The Mo 3 was an opposed four cylinder diesel engine. It is powered by oil and self ignition and had an oil injection system. The engine is a horziontal design, which could be fitted into the wing for multiple engined aircraft. In June 1915 the Mo3 was first tested at the engine cells. A conversion for gasoline operations was also intended, which were prepared on the M23 engine at Aachen. The Mo3 was never used on any aircraft. 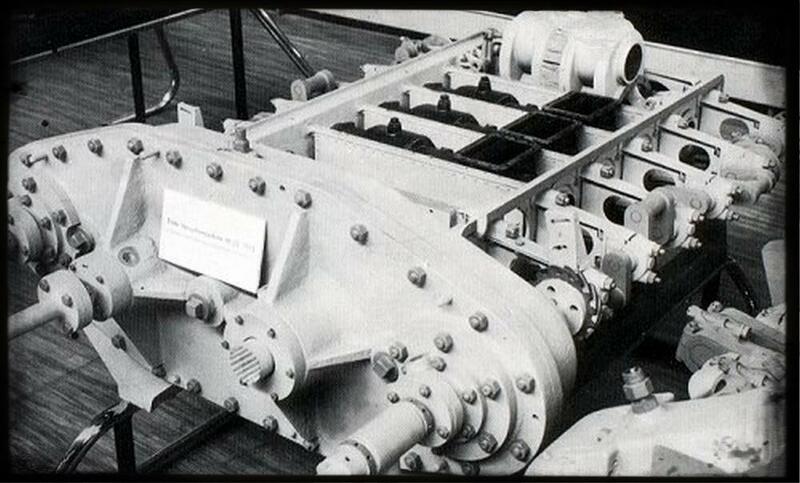 It was a pure test engine on the way towards a later aircraft engine. A lot of experiences were gathered regarding the design of small opposed piston engines from this test model as well as material investigations.